Behind the Cover brings us to the exciting city of Johannesburg where we get to meet one of the lovely and talented creatives that make Marie Claire South Africa the publication powerhouse that it is. 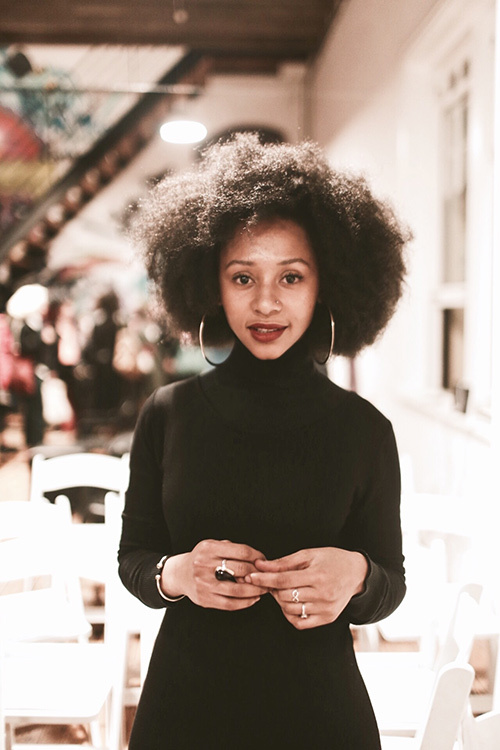 Stefanie Jason, the Features Writer for Marie Claire South Africa’s magazine and online content is a vivacious, driven woman who loves contributing to the lives of women through the magazine. Meeting fascinating people, keeping up with social media and juggling papers and stories are just a few items on the list of things to do on this busy writer’s daily schedule. Passionate about fashion and lifestyle, this amazing women keeps the readers of Marie Claire coming back for more. Check out the full interview with Stefanie down below! How did you come to be the Features Writer at Marie Claire? I applied for it! But previously I had been writing features for a while. I was also a senior features writer at a renowned South African newspaper called the Mail & Guardian. Have you always been interested in lifestyle? Yes. That’ been my main beat - lifestyle and culture. But at Marie Claire I don’t just cover lifestyle. I also write on a broad spectrum of women’s topics that relate to identity, health and more. Is there a different emphasis on the content you write online versus what you plan out for the printed issue? Absolutely. The magazine content is very planned and structured. We work three months ahead and it’s usually theme-driven too, depending on the month of the issue. There’s a little more room to work online - word count, topics, etc. And of course, it’s more interactive with links and videos or gifs. But both platforms aim to give our readers engaging content. With so much going on, how do you choose your stories and the right time or issue to post them? It’s usually a conversation between myself and my editors. They either have ideas or I do. It’s pretty organic. For online, we can focus on stories as they happen and rely on stats or trending topics to guide our stories. As for the mag we plan months ahead with the help of our long-term diary and calendar events. About how many stories do you prepare between your print edition and online? I have set content for the magazine - all the culture pages and news snippets, plus a feature story. Sometimes more. And for online I try to contribute a story daily. Craziness! Ha ha! For me there’s a lot of research that goes into what I do: checking out the papers, the trash papers, Twitter and the ‘Gram. And then it’s chatting to the editors, lots of writing, and reaching out to people for interviews. And of course a bit of laughing too. You must get a lot of amazing opportunities to speak with some incredible celebrities and everyday women alike. Have there been any you particularly enjoyed working with? Absolutely! From my interviews, I was recently moved by a 17-year-old Syrian named Nujeen Mustafa, who fled her war-torn country and travelled for over 4000km. She has tetra-spasticity - a form of cerebral palsy - so she uses a wheelchair. Despite being apart from her parents and ultimately displaced, she is so positive and intelligent. Her personality is so infectious. After interviewing her, I hung up the phone and felt so inspired and moved. The interview is in the January issue.